Description: Experience a professional photo editor designed by the passionate photo enthusiasts who use it. 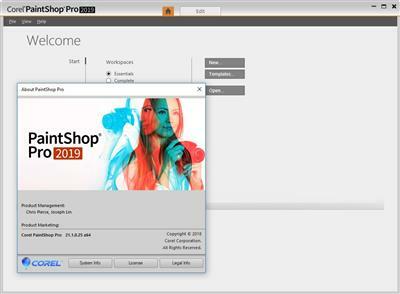 PaintShop?� Pro 2019 is your affordable, user-centric alternative to Photoshop-with every new feature inspired by user ideas. Make compelling compositions and impactful design projects using a complete set of professional image editing tools. This latest version delivers a faster, more robust PaintShop Pro, that's easier to use and more creative than ever. 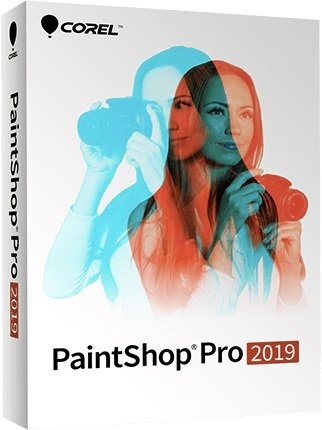 PaintShop Pro's new Pic-to-Painting presets apply Deep Neural Networks to analyze your photo and convert it into a work of art. With support for 360?� photo editing, you can easily edit, level and straighten a photograph taken with a 360?� camera. Plus, be more creative with new brushes, color palettes, gradients, patterns and picture tubes. It's time to experience the next generation of photo editing.